Pre wedding shoot Ideas are never enough.. Phew !! We all are looking for inspiration when it comes to try something new. A pre wedding shoot perhaps !! 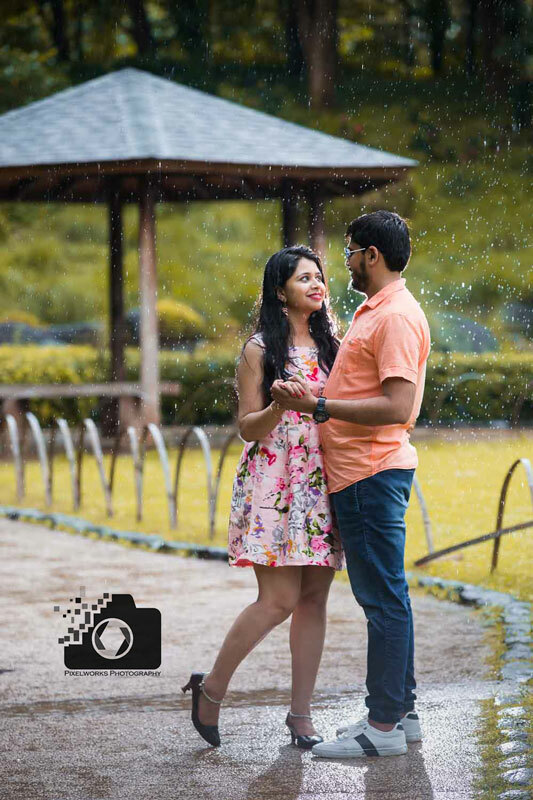 What are the ideas for Pre wedding shoot ? 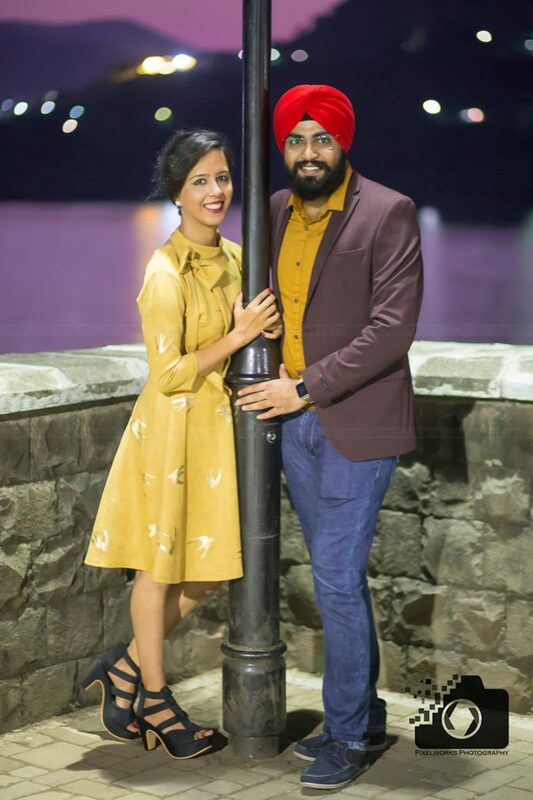 Are you looking for unique ideas for your Pre wedding shoot ? 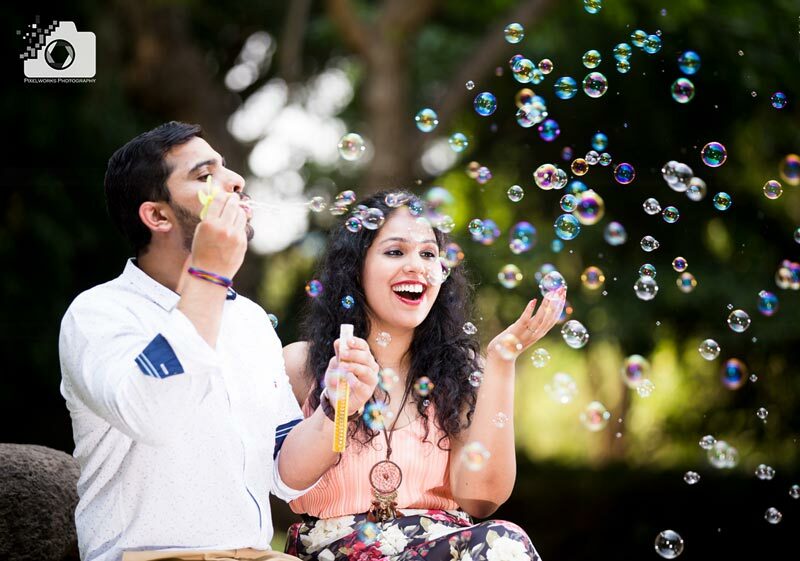 Here are some Top 10 Quick Ideas for your Pre wedding Shoot. 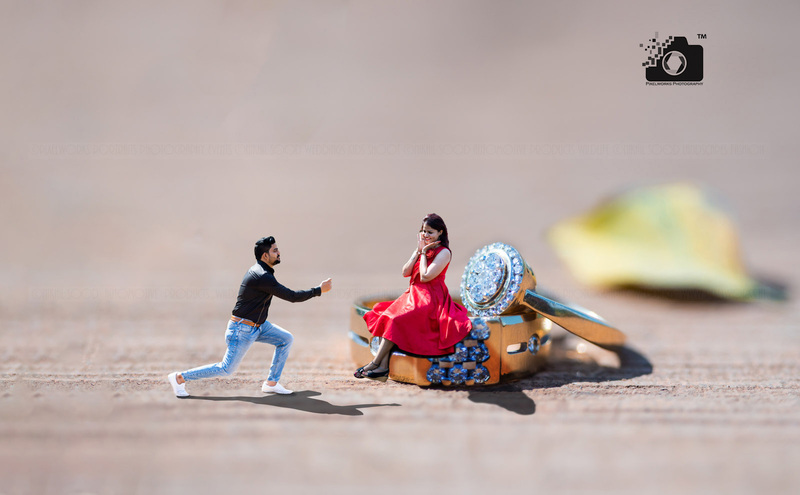 Miniature Shoot: Fun loving couples who want something different should not miss out on a the miniature shoot. Shoot with Horses/pets: For the royal look and a must have for animal lovers. 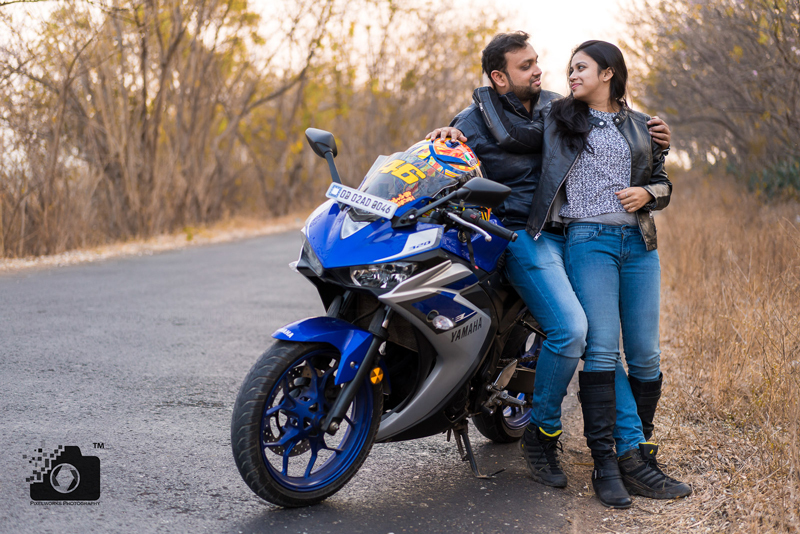 Bikes and Pre Wedding : Get a jazzy sports bike to add spark on your pre wedding shoot. 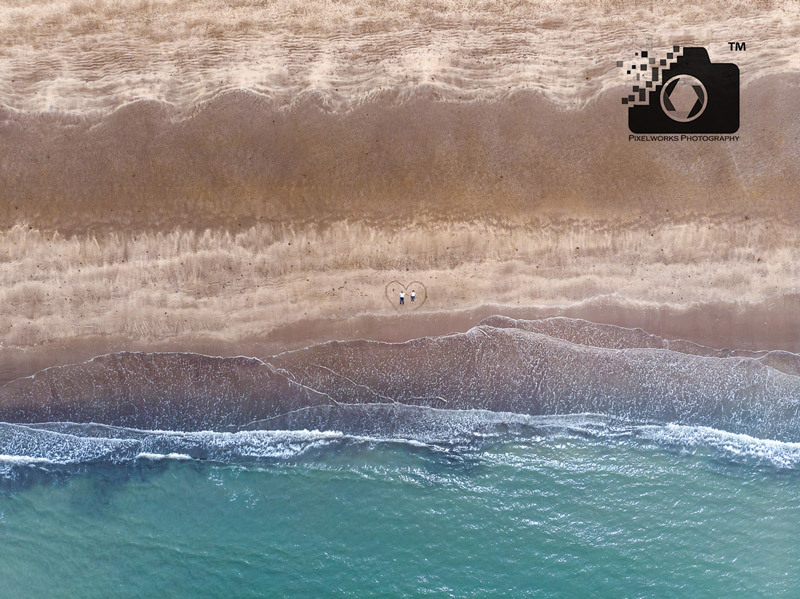 Shoot at the Lake or a Beach : For Nature lovers, its a must have. 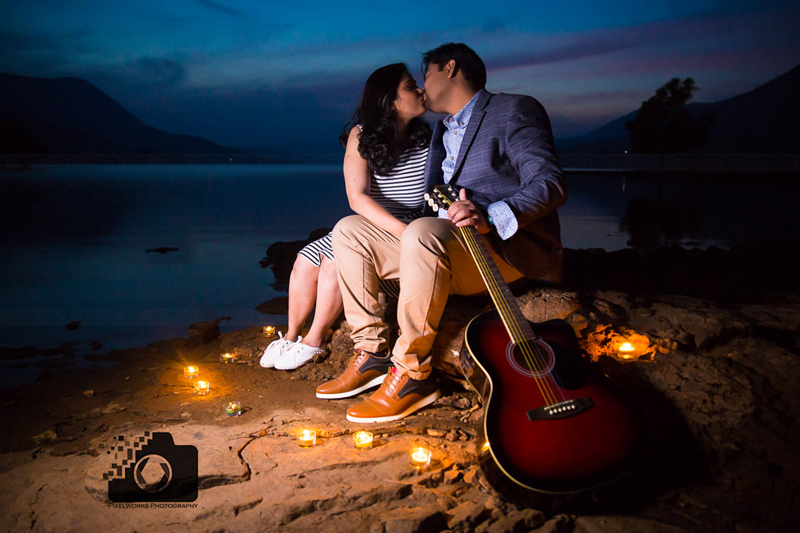 The romantic shots by the lake make for awesome moments and memories. Underwater shoot: so unique that only a handful of people can pull this off. Try it if you two can swim. Sky lantern and fireworks: combine with night-shoot to get some unique stuff out of your pics. 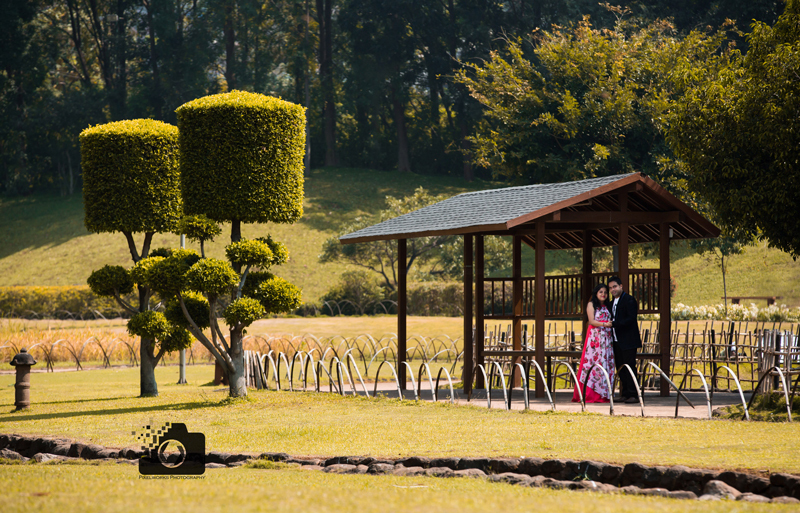 Romantic Picnic : setup a nice romantic picnic on a green pasture under a tea for some romantic moments. 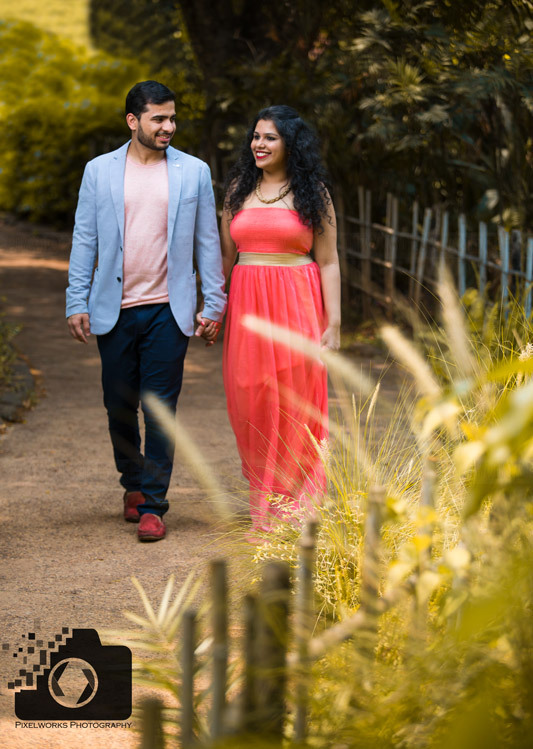 When you are at the doorstep of getting your pre wedding photoshoot done, this one article can hand you what you are looking for…. 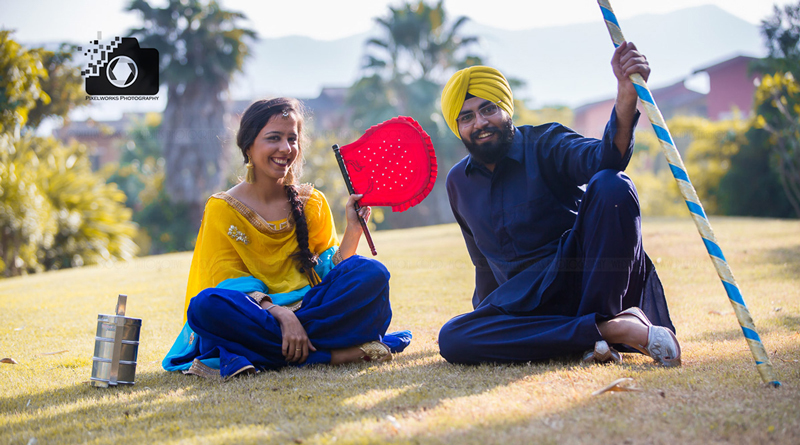 yes your own inspirational pre wedding shoot ideas. 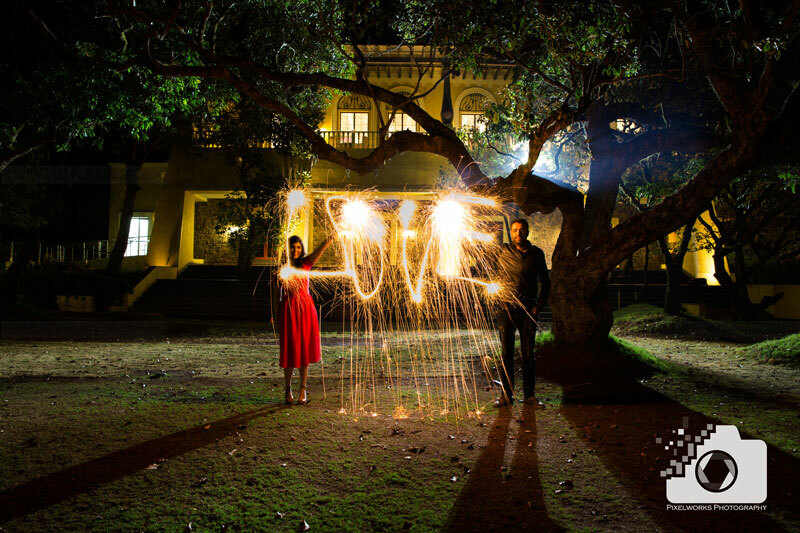 1.Light the Night – How about a Prewedding shoot at Night? Ummm under the lamp post, sharing special time by the lake or just counting stars. 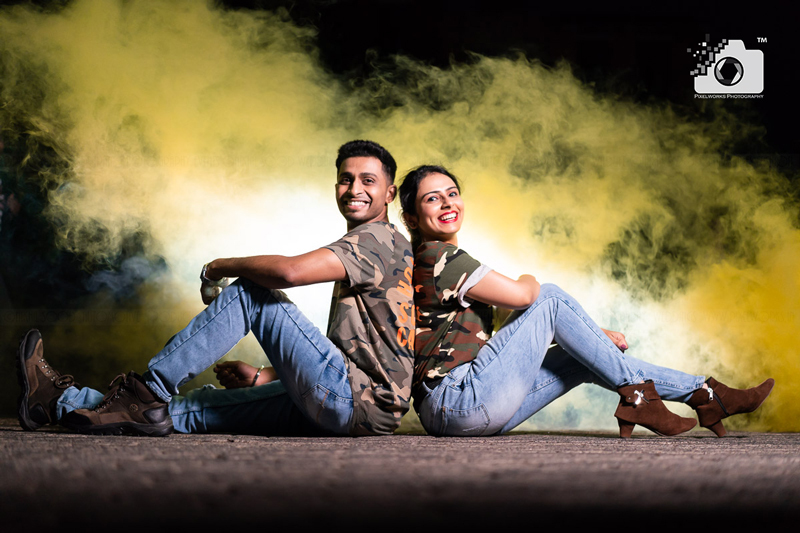 Pre wedding night photography has a charm of its own as most photographers will do a pre wedding shoot in day time or the famous “golden hour pre wedding shoot”. This is one of the coolest ways to have different pre wedding photos. 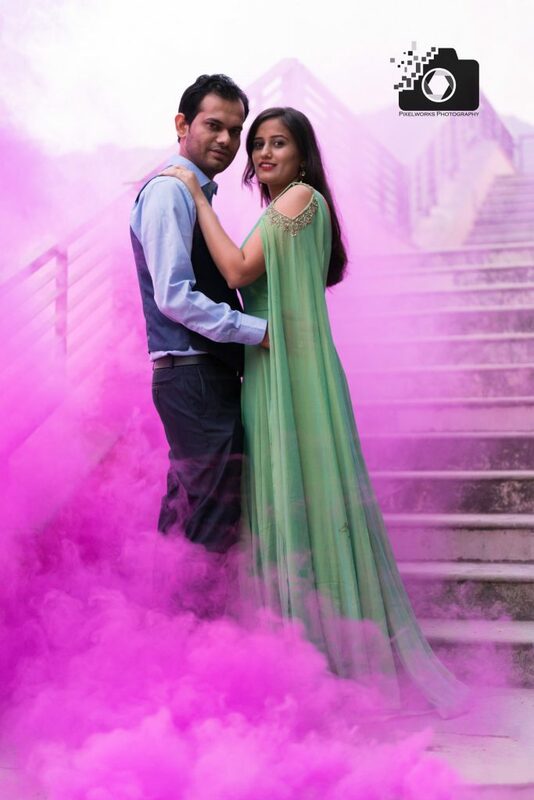 2.Smoke Bombs– The in thing these days, Smoke bomb, not only acts as an amazing prop but the photograph makes you feel the magic of being in love. 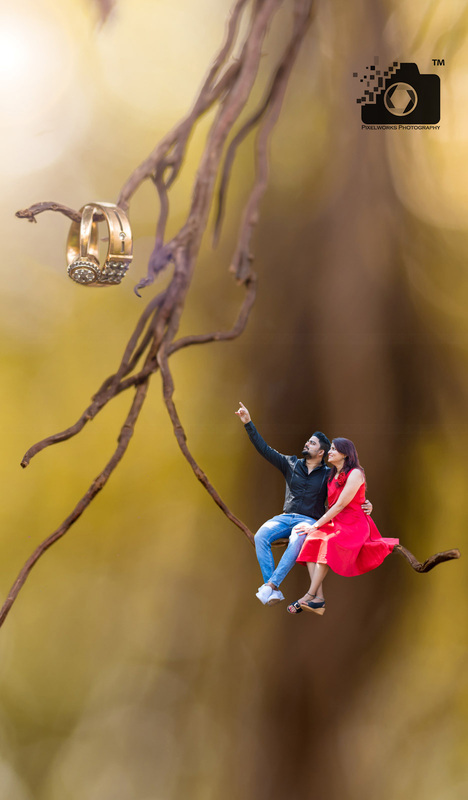 Try these for sure for some unique prewedding photos. 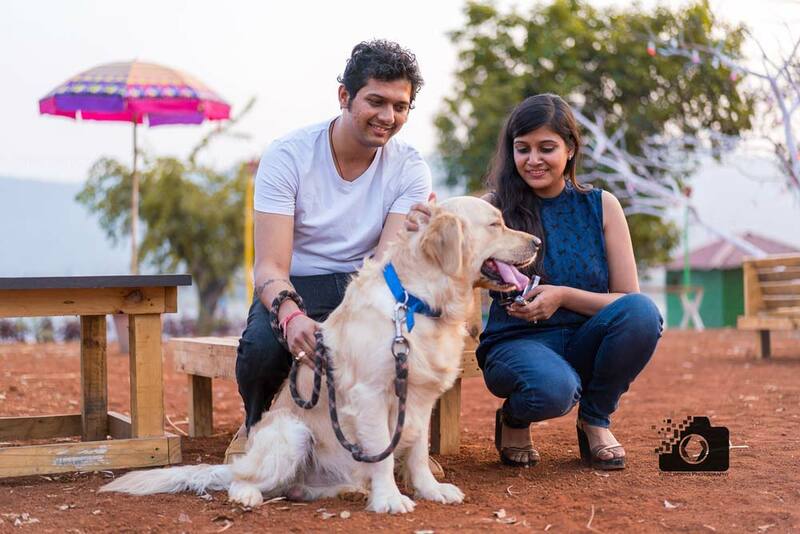 3.Pet and Prewedding – This one goes for animal lovers. 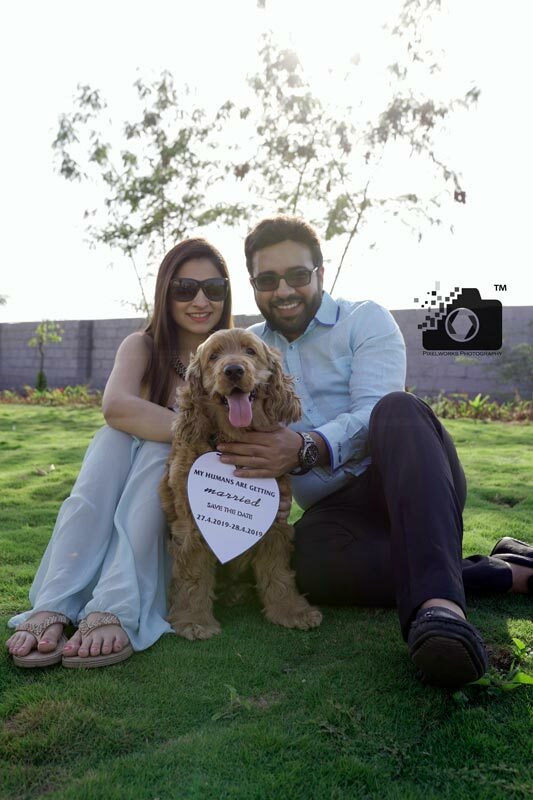 It is such a delight to have your pets as a part of your pre wedding shoot. 4.Traditional Wear– Traditional wear has never lost its charm. The western dresses got popular from the year 2013 to 2018. The new year 2019 is the year to get dressed in Traditional and lets you set an example for others. 5.Magic of Rain – People getting married in and around monsoon season can make the use of natural prop – Rains. Rains set the mood romantic and photography captures it. Check out some pictures. 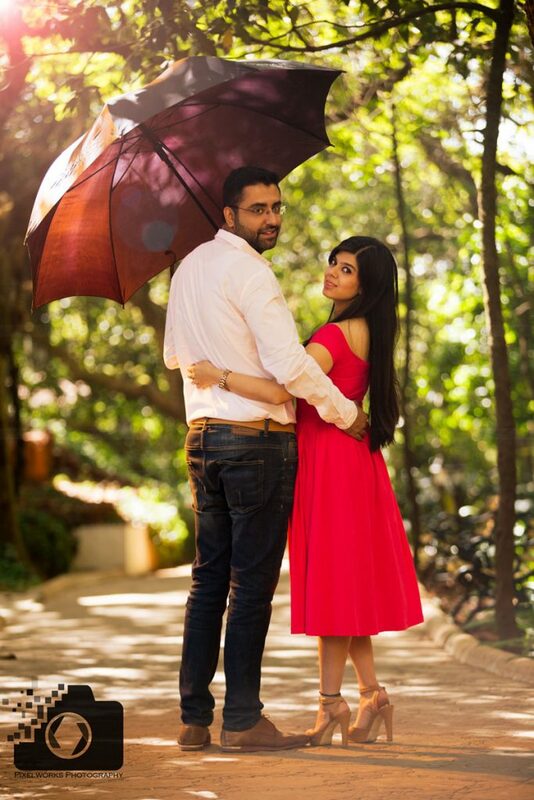 However, this pre wedding shoot idea can only be done during monsoons. 6.Feel the Festivals – It is so amazing to celebrate with the one you love. Be it Holi or Diwali. 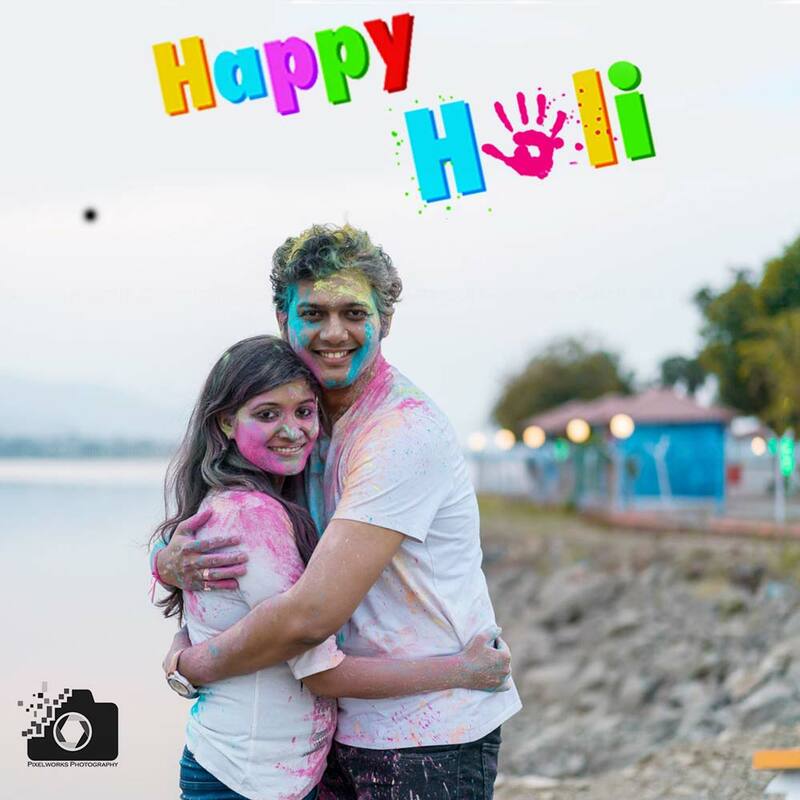 Boy you have to believe this that when you pose to celebrate festivals with your special one, it becomes candid. See the glimpses to check out. 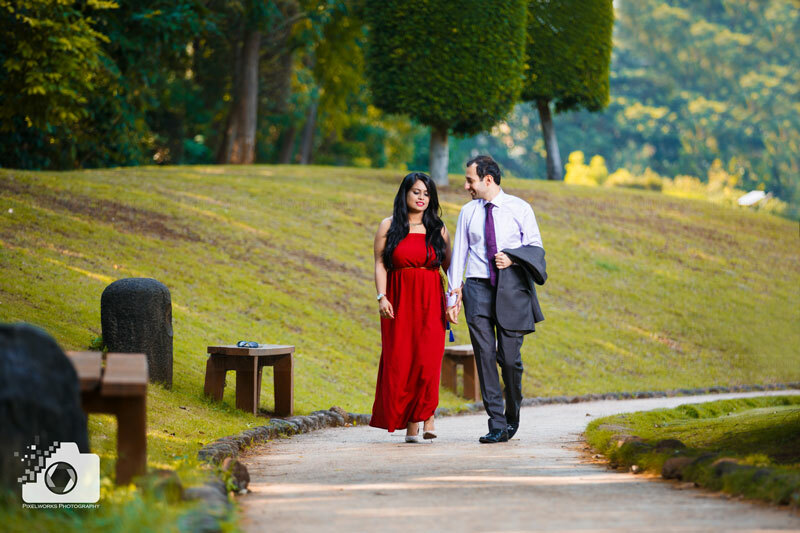 7.Natural Surroundings – Pune gives you amazing variety in physical features. From hills to lakes, well laid gardens to resorts, woods to nearby beaches. 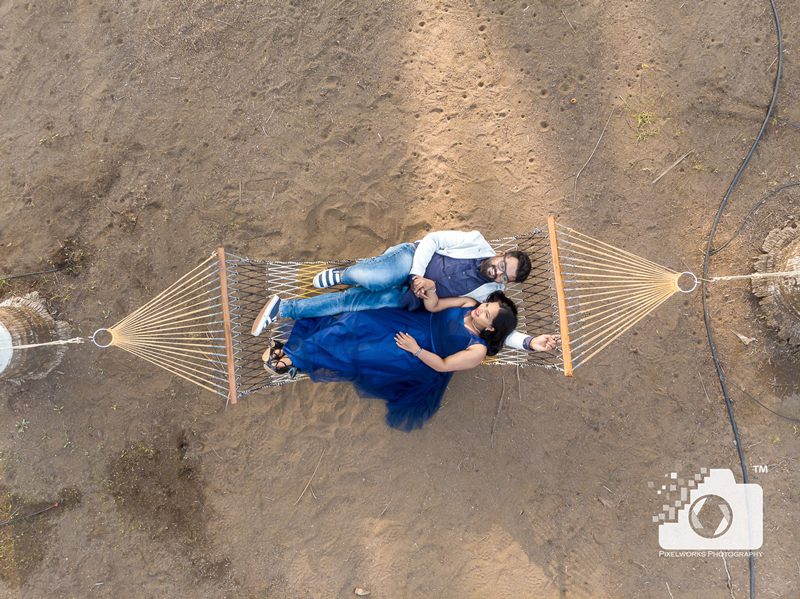 talk to your photographer on how two locations can be merged and get you some nice prewedding photos in the lap of nature. 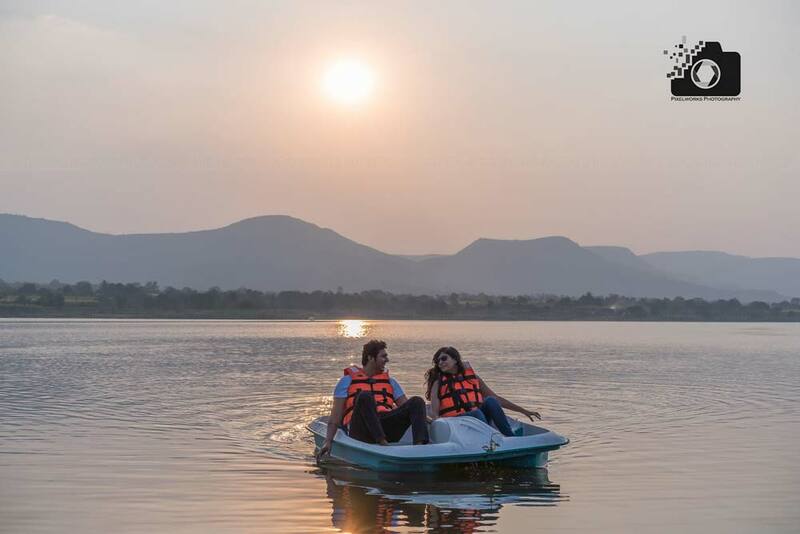 8.Boating and Pre-wedding – How about spending time when the two of you are together, boating, sharing sweet smiles. 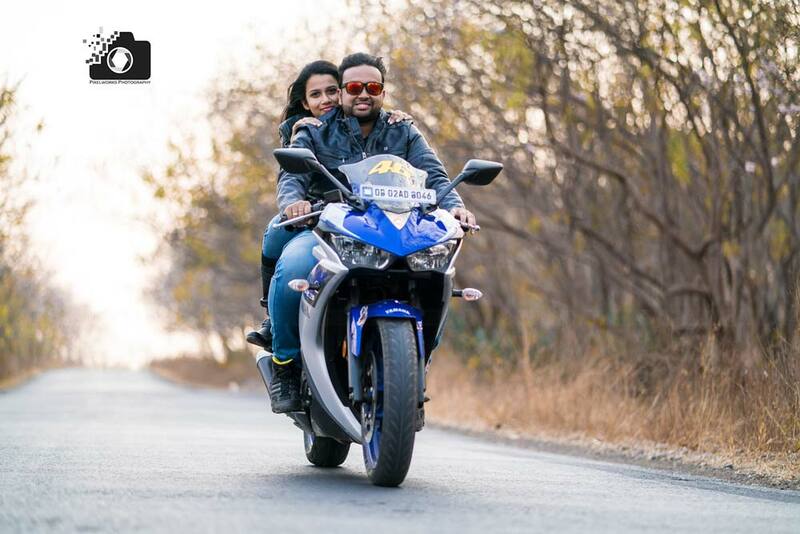 9.Bike and Love Ride – If you are a biker never miss an opportunity of having a bike ride on your pre wedding shoot. 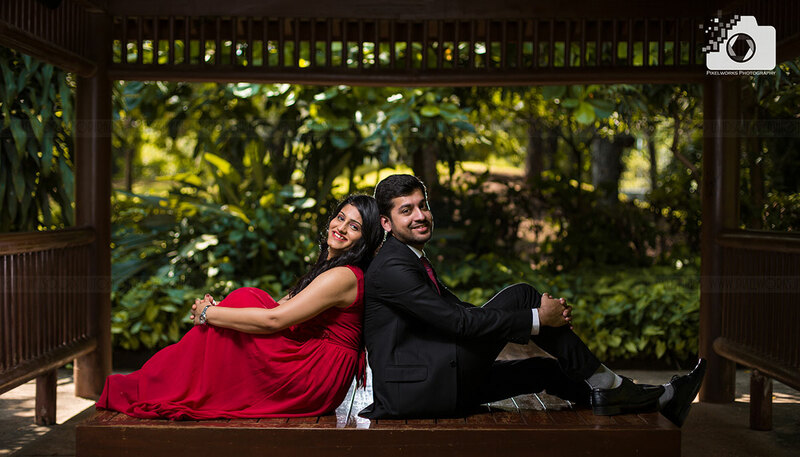 When you know that you have a skilled photographer, why not make the most of your Pre wedding shoot. It’s the journey that matters…. 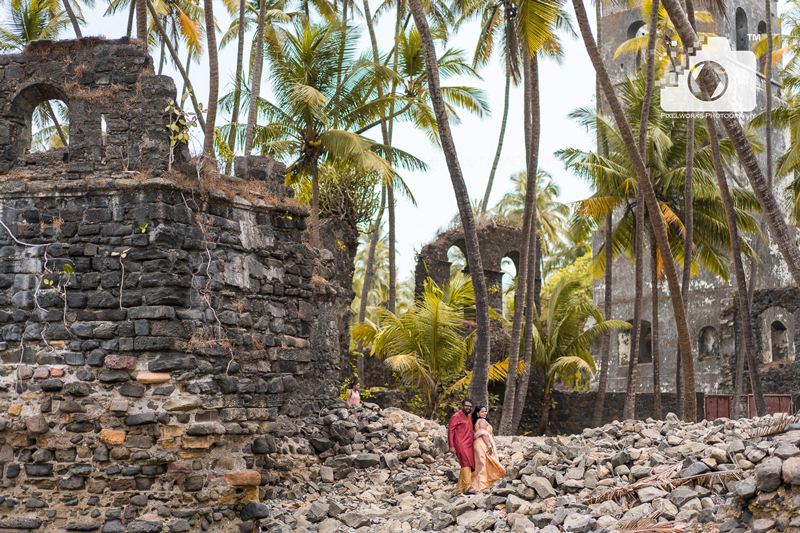 10.Love for beaches – We find beach and surroundings to be the most romantic location. It gives you many reasons to fall in love again. A hammock at the beach makes for a nice shot of you having a good time. 11.Date Night – How about making the most special memories. Frame the time spent dating and conversations over coffee. 12.Celebrating the togetherness– The time has arrived where you show all your love by doing little things. It could be lighting up candles and hoping for a better future, celebrating just the two of you cheering with the wine, playing guitar and set the romantic mood just right. 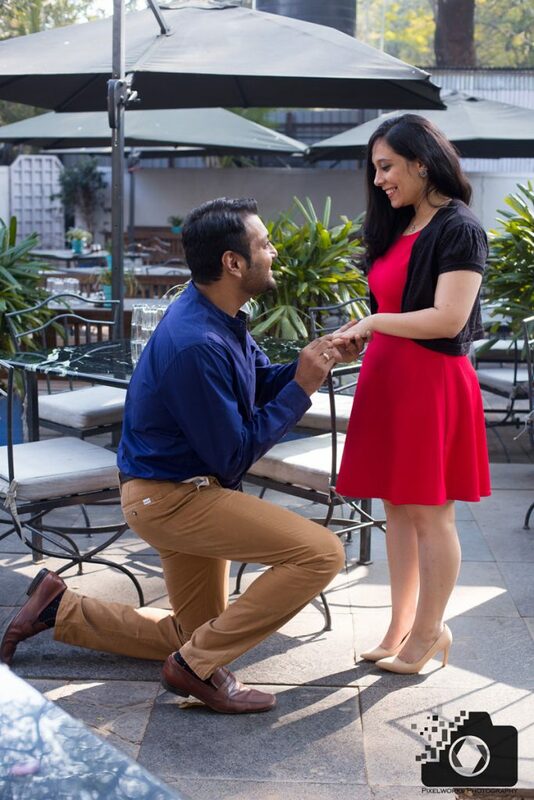 13.Perfect Proposal – All couples have gone through this moment. Sometimes a proposal is a sweet simple “I love you” and sometimes a pompous ceremony. However it may be, why not get the proposal covered in your pre wedding shoot? And we are sure this is one of your pre wedding shoot ideas. isn’t it ? 14.Kiss of Love – A picture of this category will surely enhance your wall of frames. If the pretty ladies prefer to wear evening gowns with flair, then go for such pictures where the dress has its own share in beautifying the picture. A picture like this is sure to strengthen your bond of love, each passing day. 15.Underwater Kiss- An underwater pre wedding shoot, requires couples to be swimmers and on top of it requires photographer to be fully skilled in swimming as well as shooting underwater. 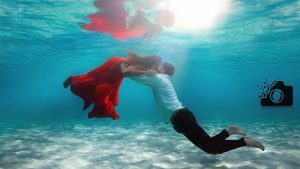 If you all can swim, underwater pre wedding shoot is very unique and it is definitely a special addition to your pre wedding memories. 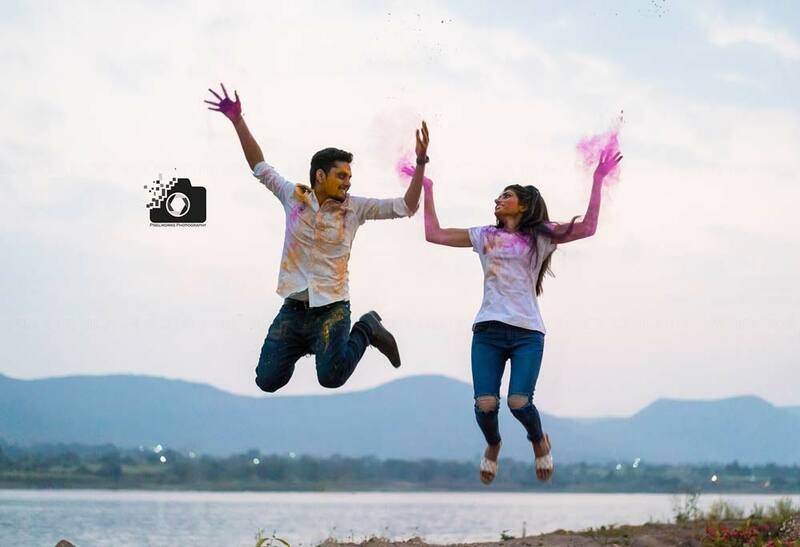 This is definitely not a typical Indian pre wedding shoot pose. 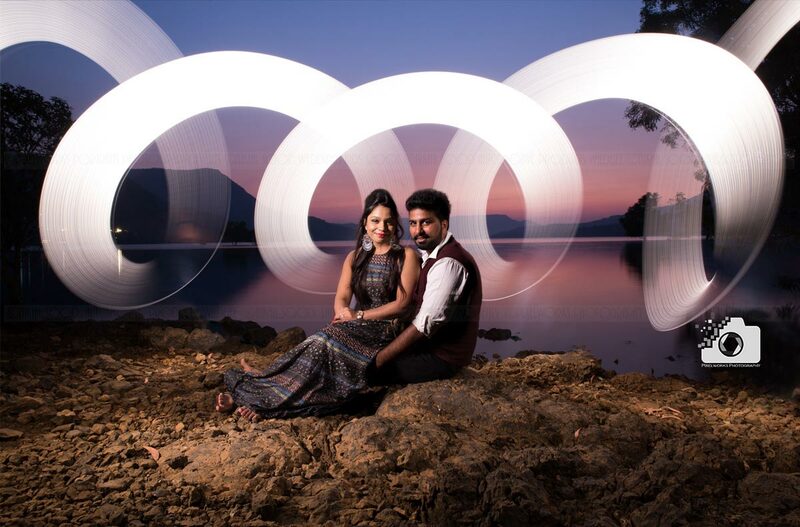 This is one of the most difficult to execute pre wedding shoot idea. 16. When Traveling is fun – This special idea is for the couples with travel goals, when they want to live this dream each day. 17.Heartfelt Hobbies – Sometimes common liking, quality or hobby is the reason of beginning of a relationship. It could be sports, music, dance, art, history or just being foodies. What’s a prewedding without what you love? 18.Mind-blowing Miniature – Miniature shots are in and is the order of today. 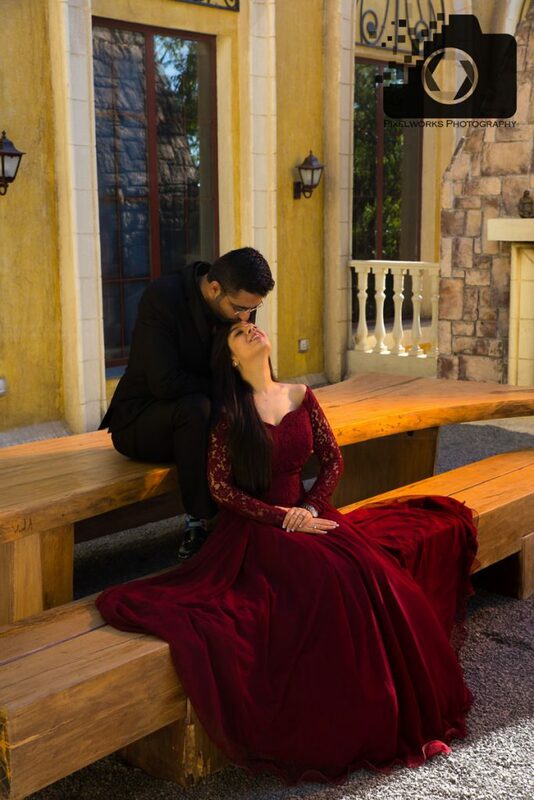 If this is one of the pre wedding shoot ideas that you are looking for, let your photographer know. 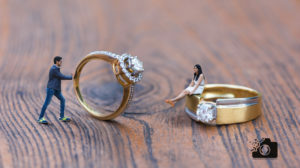 Miniature shoot is time consuming and needs proper planning on how you want it to be. 19.Worthwhile Walk – When the joy of sharing sweet nothings turn into togetherness for a lifetime, you know the walk was worthwhile. 20.Shining Sunset – Sunset has its own love charm and we know when to capture your love shining bright. Time to take a dip in the pool? 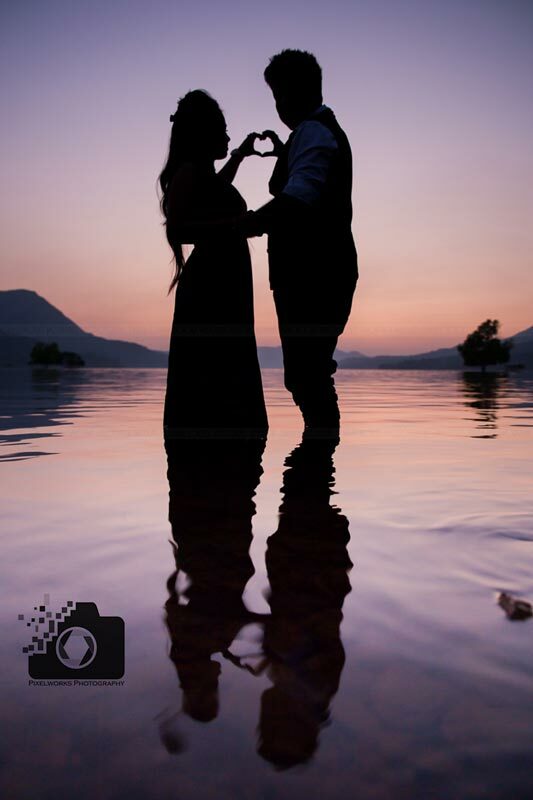 21.Silhouette and Sunsets – Silhouettes at sunsets look amazing and you should make it a must have shot and keep it in the top of the list of your pre wedding shoot ideas. 22. 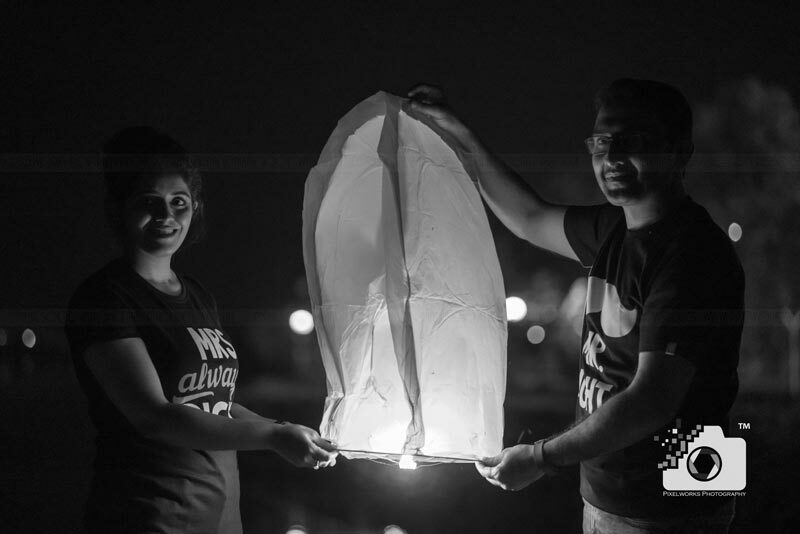 Make a wish with Lantern – This is for those who believe in magic. 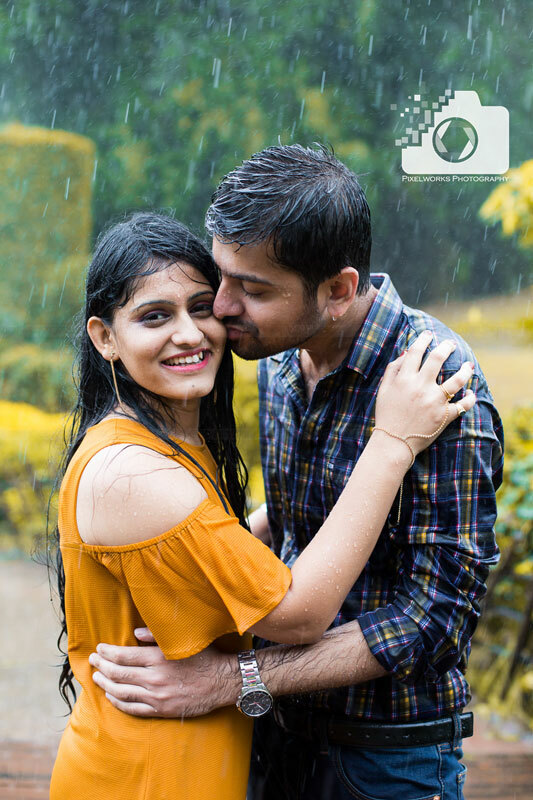 23.Glorious Romance – Never leave an opportunity to show your affection, after all this is a memory you are creating for life time.This is for camera shy people to know- your photographer is a pro in capturing couples hugging and kissing, so don’t hesitate, we really can’t photoshop your shyness. 24.Freshness of Fun – Do what makes you laugh out loud. The couples who love to have fun are made up of sugar and spice. Let your photographer capture that ingredient which makes you laugh to the hilt. 25.Pomp the Props – It is commonly known that props add that variety to the set of pictures. Pixelworks advises you to use props wisely. Clarity about the chemistry that you share enhances the picture. For example- if you want passionate love to be reflected in the pictures, funny wigs and funny sunglasses will not help you…. And if you want to add fun then evening gown, wine glasses and tuxedo may not blend well with fun props. 26.Delight in Date-saving – We really cannot stop the time, all we can do is, save the date with pictures to extend invitation on social media. 27.Love for Location – Location enlivens the happiness, changes our mood and we forget the daily life stress…. And that freshness is what your photographer looks for when he holds the camera. 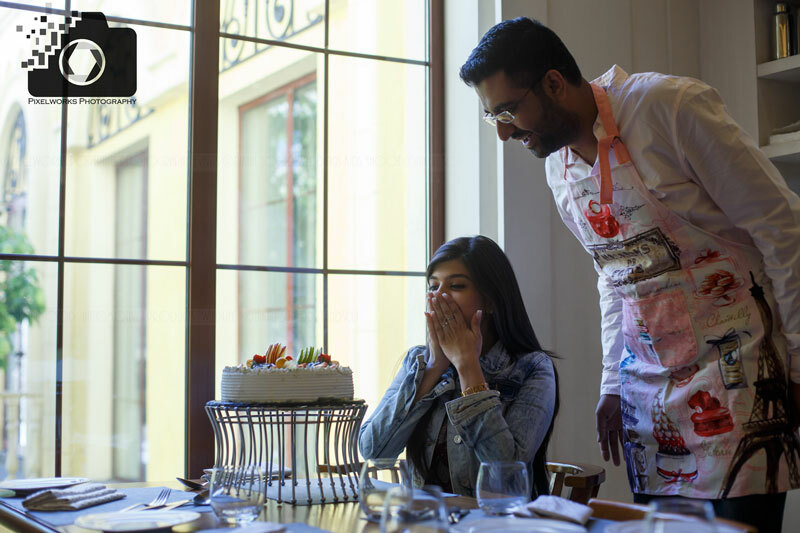 28.Sweet Surprises – We love getting surprises and when surprise is in your list of pre wedding ideas, you are sorted. Get that captured !! 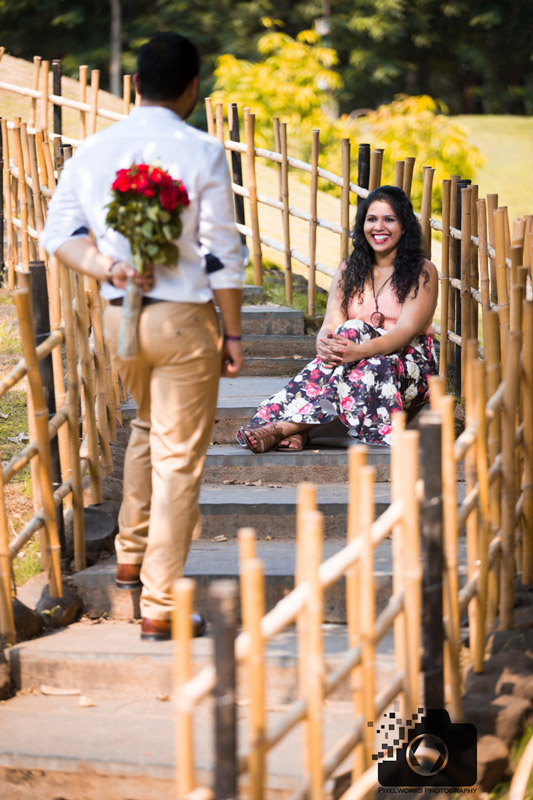 or surprise her with flowers…A classic pre wedding shoot idea, isn’t it? 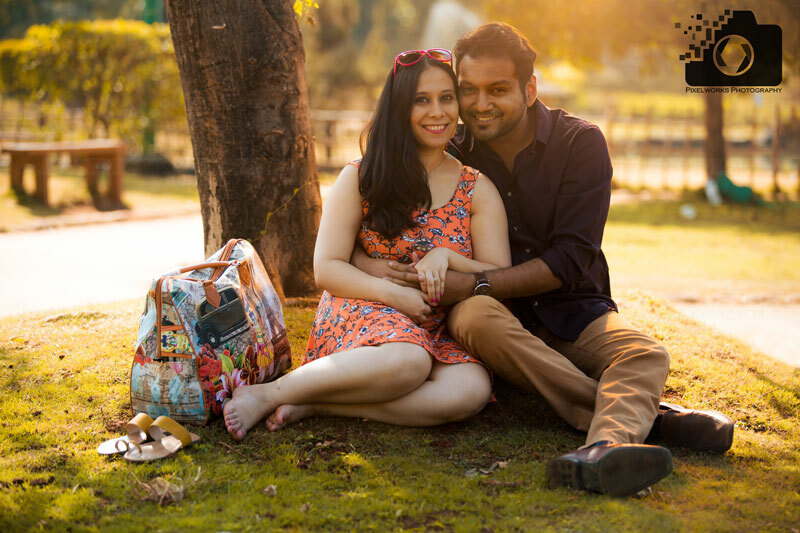 29.Plan a Picnic – One of the activity based pre wedding ideas that lets you know each other differently. 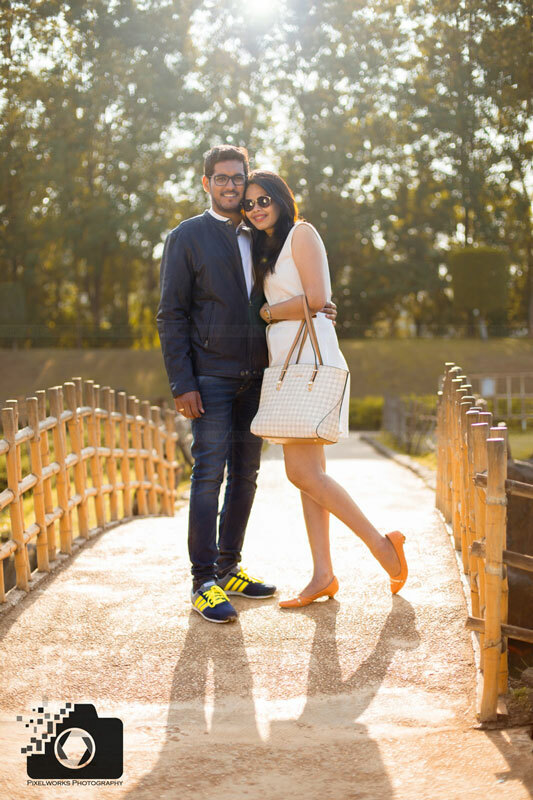 A pretend play of being together after marriage…. What say ?? 30. 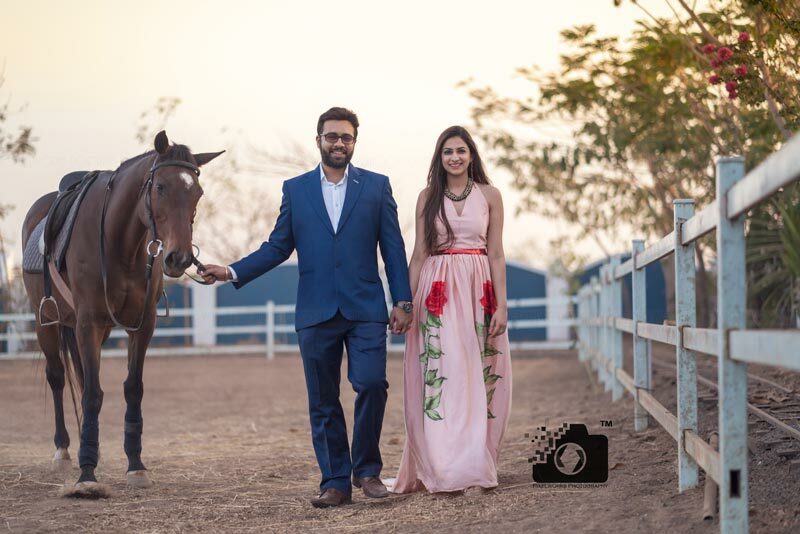 Ever thought of Horses (yay or Neighhh) – worth having this idea for an exclusive shoot ! 31. 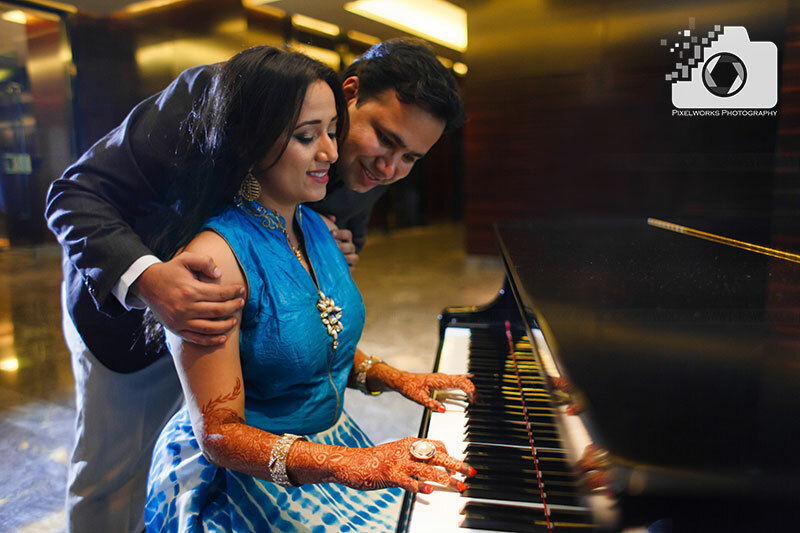 Music connects – When music connects you two, you know being in love is so much fun. 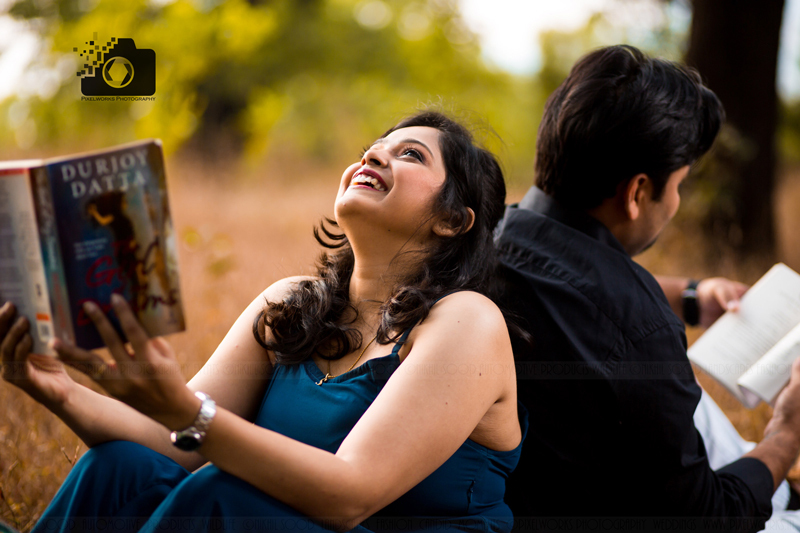 Keep Social Media on Mind – We have couples coming in for pre wedding shoot with an objective as clear as crystal. They only need amazing pictures for social media. 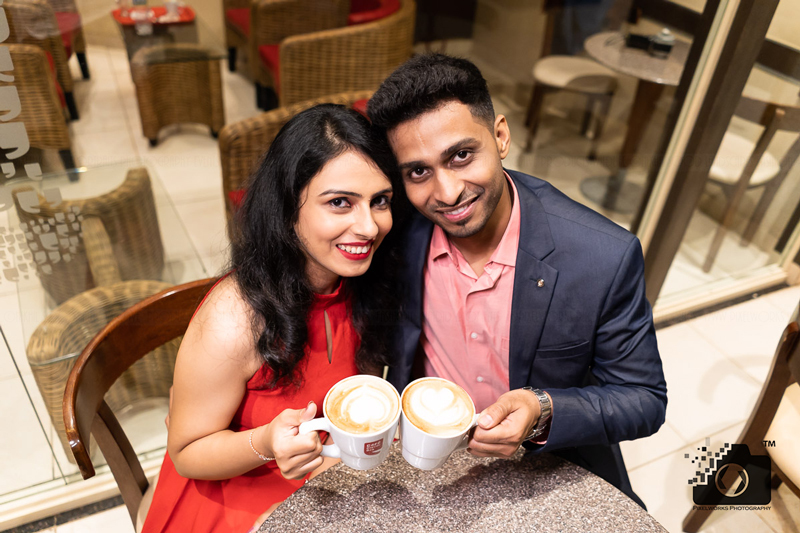 Social media is a powerful tool that keeps you connected with loved ones through pictures and videos, hence the need of professional photography emerged. Pixelworks promises you more Facebook and Instagram likes than ever on your profile pictures. Video in Vouge – Pre wedding video invites/ highlights are high in demand. 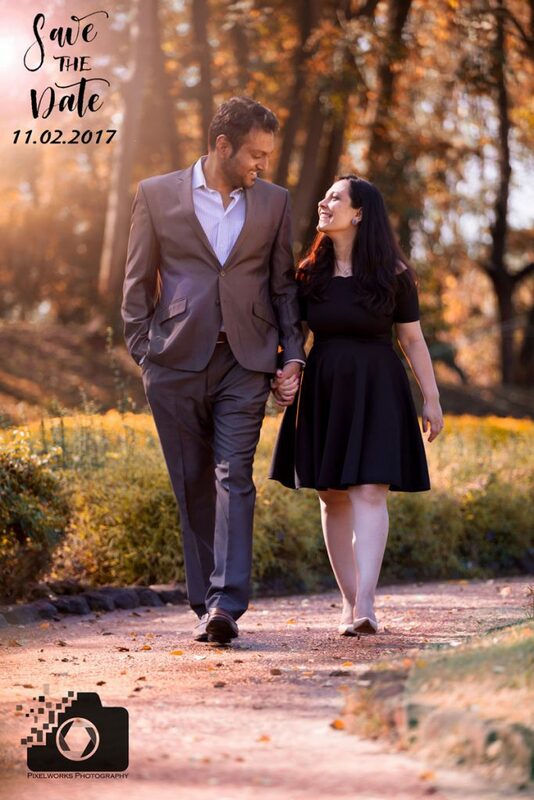 Along with save the date picture, it has an everlasting effect on the guests invited. Videos give you a lifetime memory to cherish your togetherness time and again. 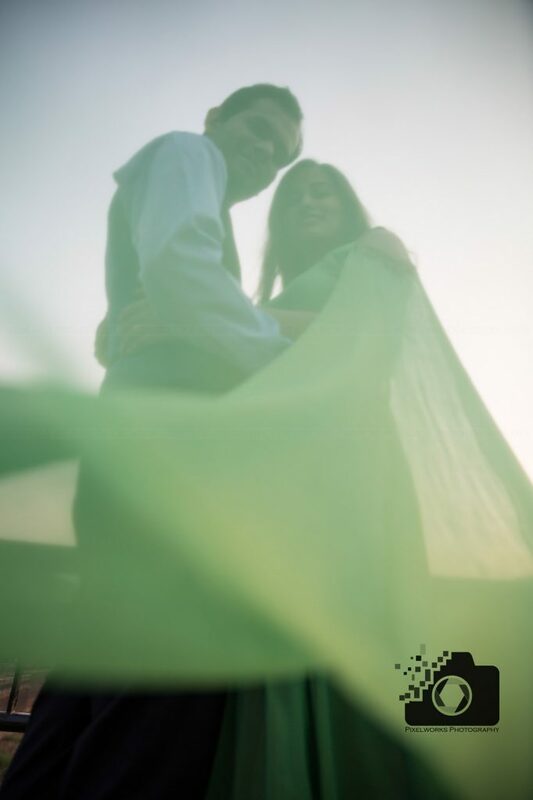 Read our post on Pre wedding Video ideas and types. Like, share and leave the feedback if you liked this article. Check out Instagram and facebook for our recent work. Pinterest will give you ideas in planning your Pre wedding shoot or wedding. 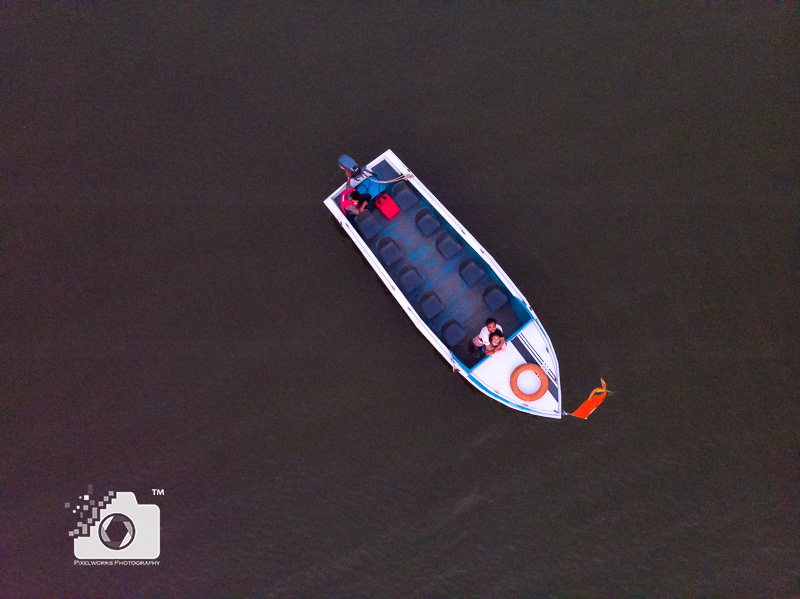 A – For a Unique Pre wedding shoot you can plan for some uncommon things like Underwater Pre wedding shoot, Pre wedding shoot with horses, Miniature shoot and a shoot at Night. Some samples of these ideas are already listed above, have a look.